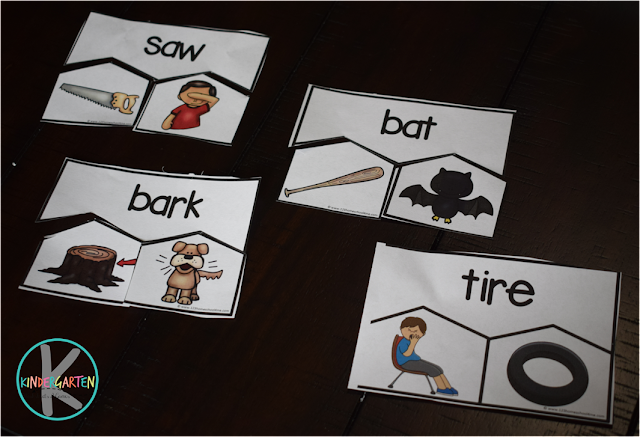 Kids will have fun practicing homographs with these fun, free printable homograph puzzles. These are perfect for 2nd grade, 3rd grade, and 4th grade kids. What are homographs? Homographs are words that are spelled the same but have different meanings. 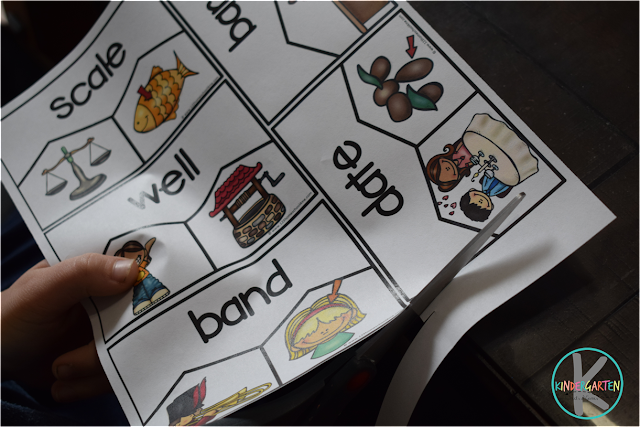 These homograph puzzles are a fun, visual way for kids to learn how two different words can be spelled the same, but mean different things. Print the download on colored paper and laminate for durability. Then cut apart the puzzles. Store in a ziplock bag for continued use. I love that these homograph puzzles are reusable! 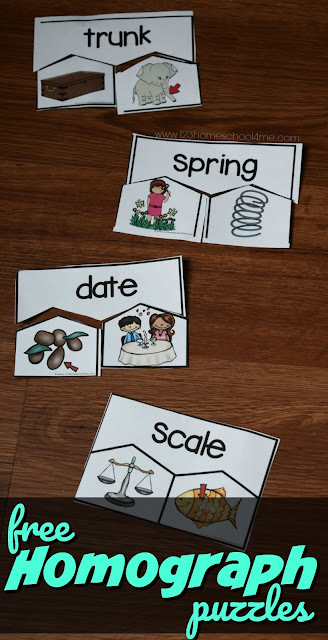 Help kids practice identifying the concept of homographs with these fun free printable homograph puzzles for kindergarten, first grade, 2nd grade, and 3rd grade kids. HINT: You can make these homograph puzzles self checking by using dot stickers on the back of the all pieces. Make sure the pieces that go together all have the same color dot or the same symbol. This educational activity is perfect for extra practice, summer learning, literacy centers, and more. All downloaded materials provided are copyright protected.